Rajasthan is a land filled with cultures, traditions and music. The best attraction of the state is its colorful, warm, hospitable and smiling people. On its western side, there is a golden desert of Thar full of ancient temples, palaces, forts and sand dunes. On the other hand, the lakes, mountains and step wells fascinate us. Moreover, the wildlife of Ranthambhore especially the tiger awaits in the jungle, so as the birds of Bharatpur. The HTOI's Rural Rajasthan Tour offers you a one-time life opportunity to witness never heard traditions, new rituals, and lively fairs and festivals. 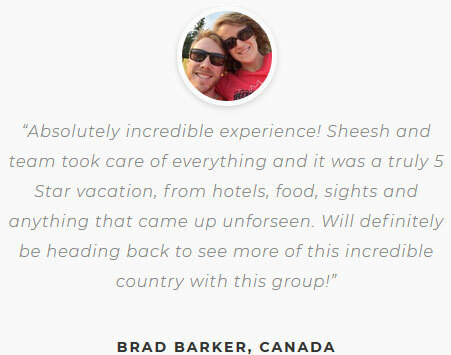 The tour brings you lifetime memories with urbanity, love, hospitality. 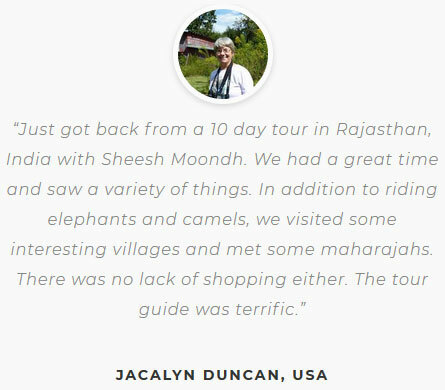 Dive into the history of the local unfold places where you witness the classic edifices and rural tribal village sites on 15 days long tour. On arrival at Delhi airport, you will be warmly welcomed by one of HTOI’s expert assistants. We will go to the hotel for check-in, and after that, you can relax and get ready for the thrilling journey of the Rural Rajasthan. On the day 02, we will fly to Udaipur from Delhi airport to explore the real charm of the city of the lakes to give a perfect kickstart to our grand tour. 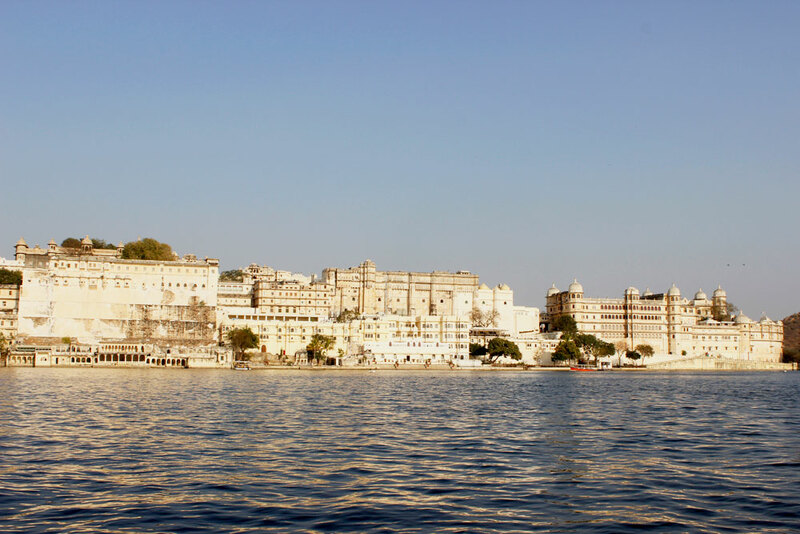 Udaipur, the city of lakes, is a cascade surrounded by most beautiful lakes and royal palaces and forts that enhance the beauty of the town. The pure blue waters of the lake leave a calm impact on the watcher. At the time of the sunset, the boat ride in the Pichhola lake surrounded by lush green Aravali mountains is sufficient to enthrall anyone. The never forgotten experience of seeing the luxurious palaces situated in the middle of the lake by boat is only possible in Udaipur. In the morning of the very next day, we will visit the historical City Palace the perfect example of the splendor of Mewar rulers after yesterday’s thrilling boating experience. Where you will witness to the beautiful artistry of the City Palace, which entirely built with the marble and granite, and it also has the aesthetic appeal of marble-work, mirror-work, silver-work, inlay-work, wall paintings, murals that you never saw earlier. In short, words are not enough to describe the beauty of the City Palace. After this, we will move forward to Dungarpur to explore the less heard local Bhil & Meena tribal villages to know more about their traditions, fashion, daily-life more firmly. 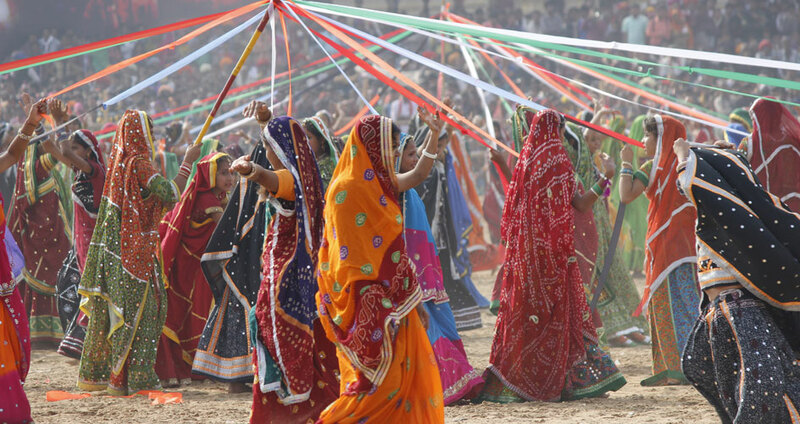 In Dungarpur, Bhil & Meena tribes are famous for their sacrifices. After interacting with Bhil & Meena tribes, we will check-in to your heritage hotel Udai Bilas Palace. Later, we will move to Juna Mahal, which embellished with frescoes, murals, green stones and mirror inlays that represent the unique construction style of the ancient rulers. Color paintings and glass work done inside this historical palace make it stand out miles ahead of others. After enjoying the artistry at Juna Mahal, we will walk through the tiny lanes of the town. New day, new adventures! Did you ever try to tie a turban and failed? Maybe you have come to learn how to tie a turban correctly here. 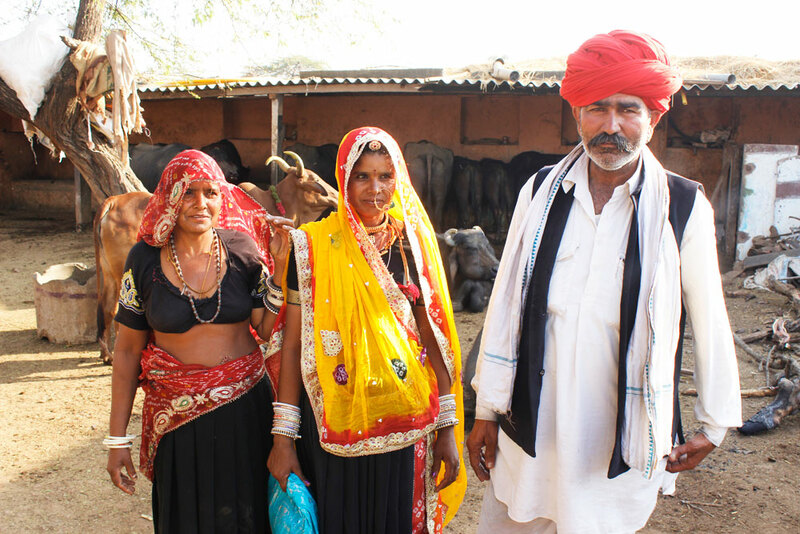 Be ready to meet the Rabari & Bhil tribes personally to know how they are enjoying the life in a real way, away from the limelight of the modern world. We will also visit Arthuna temples and Lord Shiva temples famous for its archaeological significance located at Arthuna village which is also known as the village of old and broken temples. After it, we will move to one more jaw opening design monument Dev Somnath temple which solely made of stones without using the lime or sand, standing on the 150 pillars. I bet you will only say after seeing the Dev Somnath temple that is “Amazing”. After taking the breakfast, we will go to Ranakpur from the city of hills. In the afternoon, after reaching to Ranakpur, we will go to villages of Bhils, Rabaris, Gadulia Lohars and Garacias tribe. You will witness here their colorful life with lots of inspiration to take home with them. Gadulia Lohars finds its name from scenic Bullock Carts what they use for traveling from one place to another. 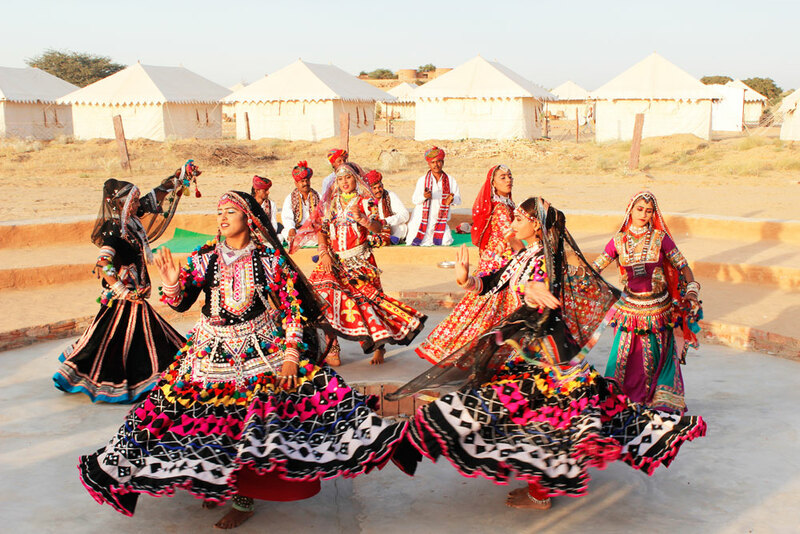 Garacias tribe is known as the fallen Rajputs of Rajasthan, famous for their stunning marriage tradition via decampment. 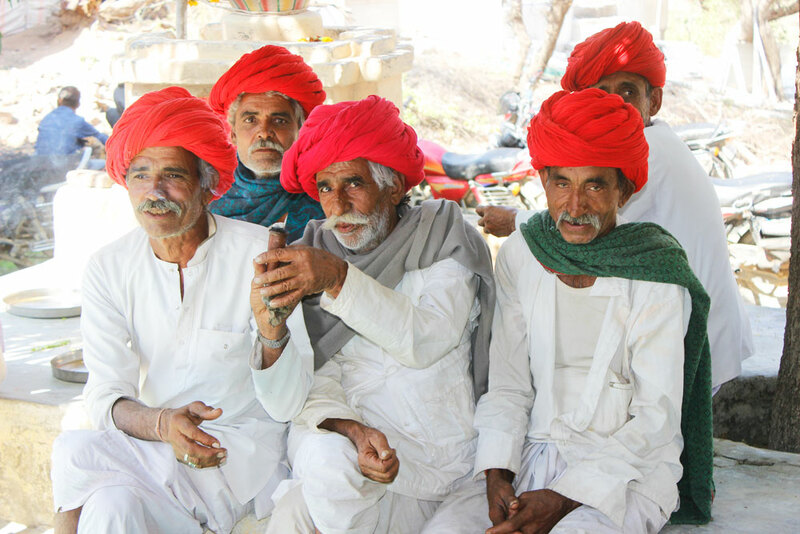 In a nutshell, every tribe in Rajasthan has an untold story for you! 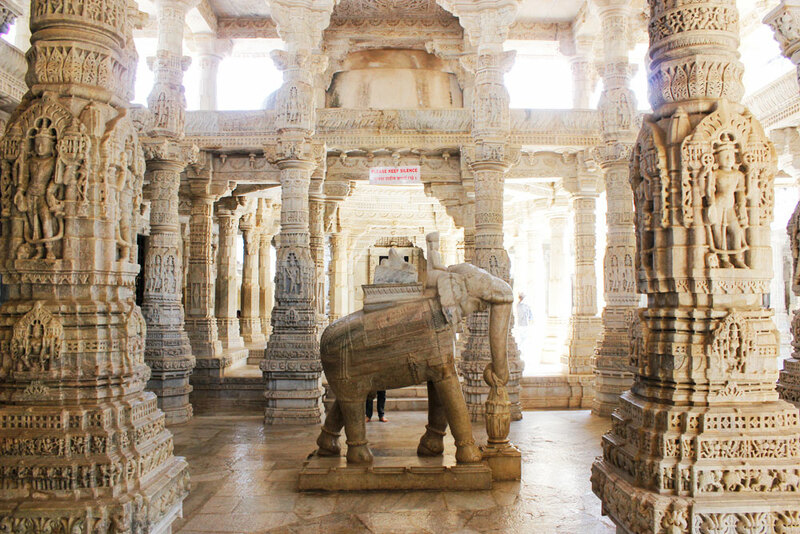 Next, we will move to Ranakpur Jain temples that don’t need any introduction. No words can precisely describe the real beauty of the most famous Jain temple. Once you are there, you will come to know that why we use no words for this beautiful architecture. Today, we will drive to the Thar desert of the Rajasthan. Here first you will check-in to the hotel at Barmer. The fifth largest district of Rajasthan has lots of hidden stories in open book. One of the most hidden tales is the Kiradu temples! After lunch, we are going to visit Kiradu Temples group (5 temples) – The Khajuraho Of Rajasthan. The less spoken temples which dedicated to the Lord Shiva famous for astounding and illustrious statuaries. Someshvara temple is the most marvelous among the group of 5 temples. 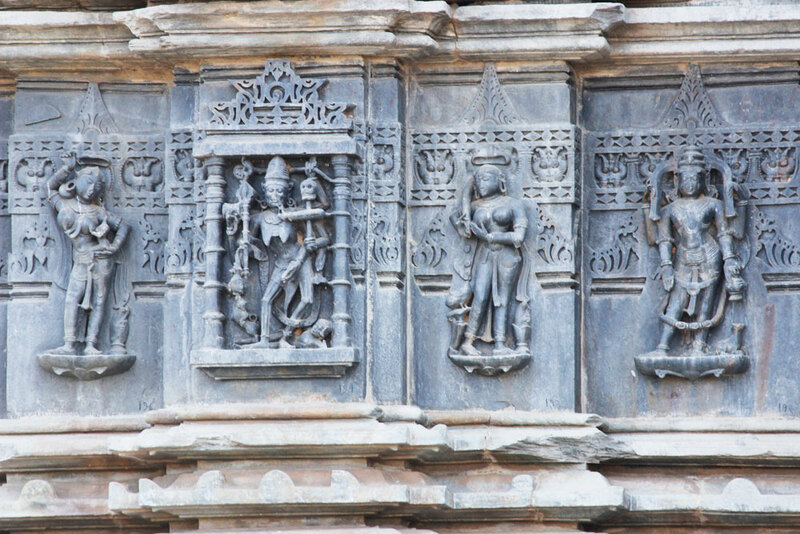 The Kiradu temples exemplify the heavenly and elucidate tells from epos and daily life. 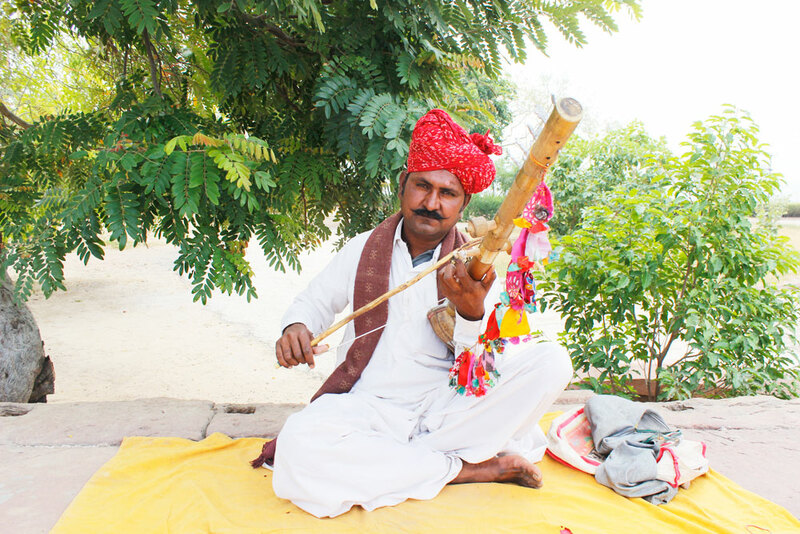 Today, we will explore the local villages of Barmer where we can notice lots of hidden and infamous talent. Barmer is also a must-visit tourist destination regarding rich handicrafts, traditional art forms, and music. The rural tourism at its peak in Barmer! You can notice creativity on the huts and houses of every community here. As talent doesn’t have any caste and color, you can easily spot Bhopas and Dholis while singing on the streets that you can’t miss. Mangniyar Community is very famous in all over the world and we will arrange a live program from them. You can enjoy the folk music performance in one of the villages we explore! In morning of the 8th day, we will move forward to Luni and check-in to the hotel! After the rest for sometimes, in the afternoon, we will visit Bishnoi villages. 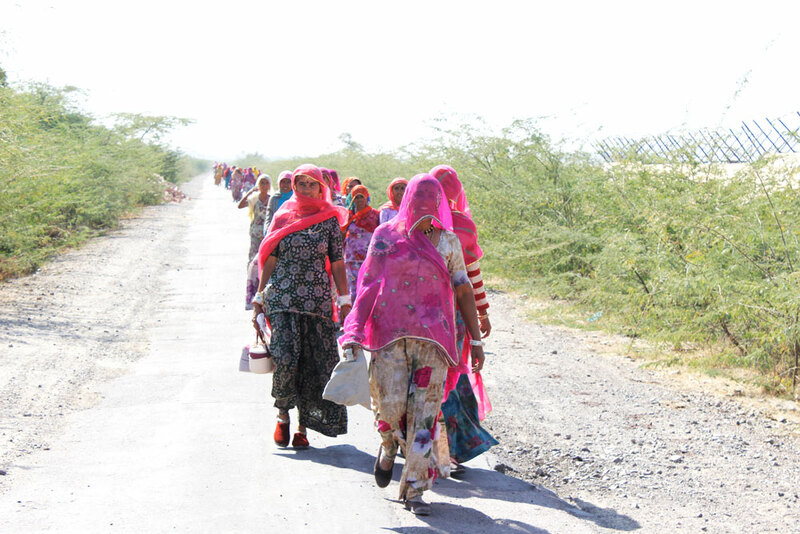 The Bishnoi community has its own identity which is known as the environmental savior worrier community. No one can forget the endless saga of the sacrifice of the environment protection at Khejarli, Jodhpur where 363 Bishnois sacrificed their lives to protect their beloved trees in feudal eta. They still believe that if you can protect the trees, even by getting your head cut, then consider it a win-win deal. 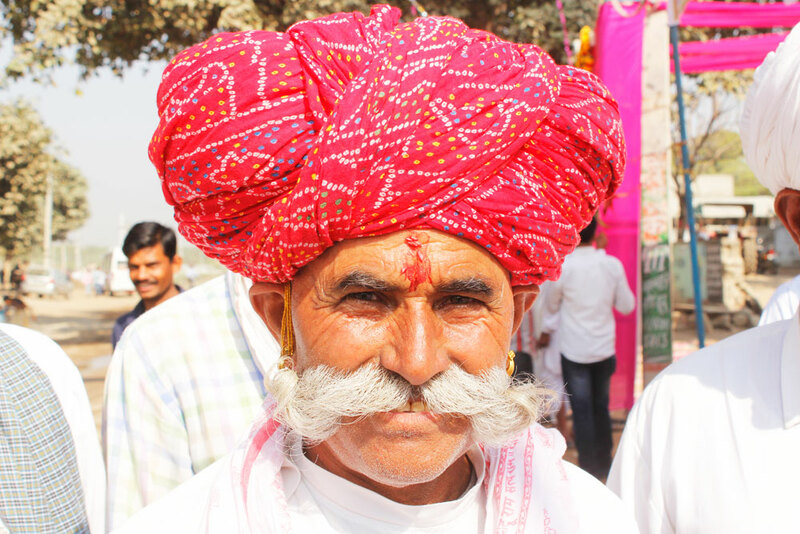 Bishnoi community strictly follows the 29 rules set by the Guru Jambeshwar. After enjoying the breakfast, we will leave Luni for the base of the Meena tribes, Bijaipur. Bijaipur has folded beauty inside it. It’s located besides a lake. We will explore the locals and around Bijaipur. Castle Bijaipur is a famous heritage hotel now situated in the middle of the village where you feel the peace and homely feelings. Bijaipur folds itself the number of places to visit nearby! Whether you are yoga enthusiast or a bird lover, Bijaipur will make your day memorable. 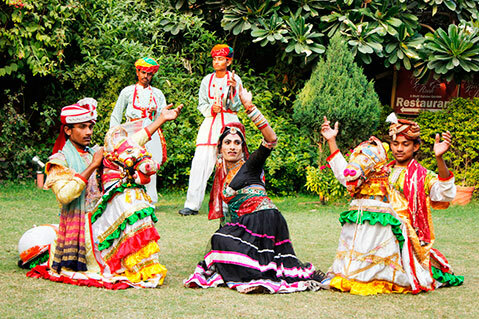 You can enjoy horse safari, bird watching, Pangarh Lake, village walk, folk music and dance. After spending a beautiful day and night in Bijaipur, we will lead to Kota on the morning of the Day 10 of the tour. First, we will check-in to the hotel and take some rest! Later we will explore the village life of the Gujjars. Gurjar or Gujjar tribe strictly follows their old aged traditions and are very hospitable. They are basically the cattle herders and it will be a great fun to watch the ladies milking their animals in the evening. After having breakfast, today we will visit one more primitive of Rajasthan called Sahariya. Drive to Shahabad to explore the real culture of Sahariyas which is loaded with the tales of honor, love, pride, sacrifice. In the evening we will drive back to Kota. 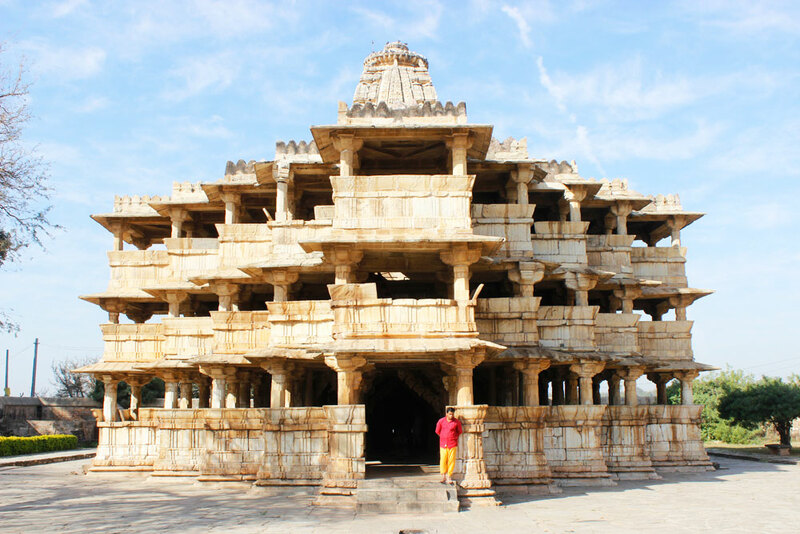 Today, we will leave Kota and drive to the antiquated land of Bundi. First, we will make a visit to the famous Bundi Fort. Bundi Fort, situated on a steep hill famous for its architectural beauty, the mind-blowing paintings, and the glorious history. You will fall in love with the detailed construction style of the fort and the stunning view of the city from the top of the fort. Later, walk through the vibrant market to feel the lifestyle of Rajasthan more closely. You can also do some shopping here. After taking the delicious Rajasthani breakfast, we will continue to drive to Pachewar. 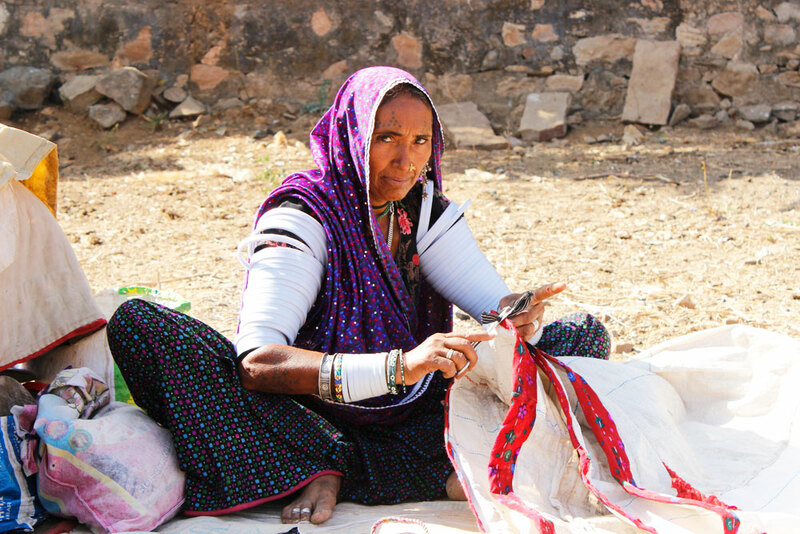 It’s a gift to yourself to get a walk through the Pachewar village; you can witness here some talented traditional local artists. Pachewar is famous for its toy makers, blue pottery kiln, Pachewar fort and rural culture. We will explore the village life by having a chat with local craftsman and artisans specialized in blue pottery, carpet, colorful tie and dye. The major communities around Pachewar are Jats, Malis, Gujjars and Potters. Today, after breakfast we will go to Nawalgarh – the hub of famous ancient Havelis. 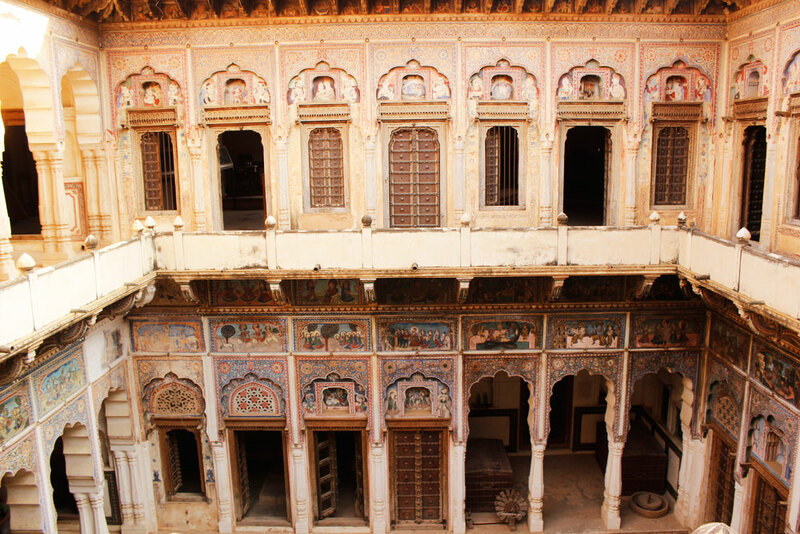 In Nawalgarh, every Haveli is different in architectural design and the beautifully detailed carving done inside. We visit Poddar Haveli first. 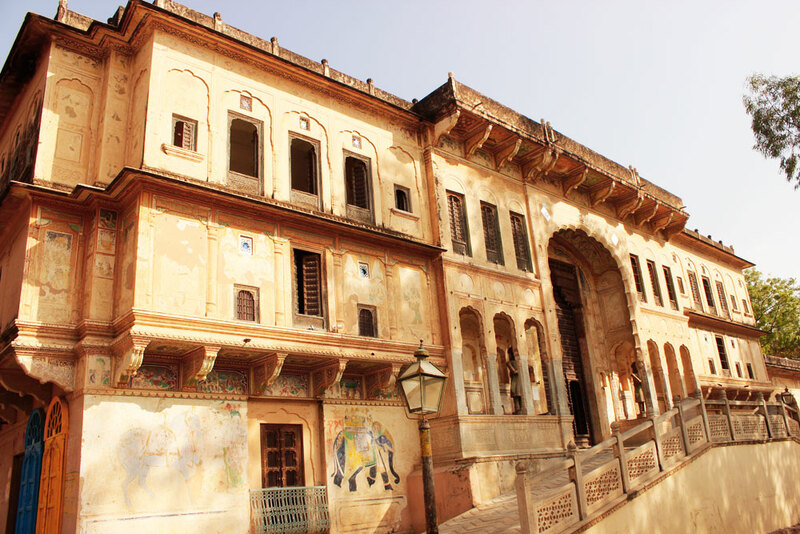 Poddar Haveli is a well preserved museum with a fantastic piece of artwork on the walls and sculptures which are beautiful enough to dig into the tales of bygone glory of Shekhawati region. We will also stop in the near villages to see the culture and traditions of Shekhawati. Spend the night at Vivaana Culture hotel in Churi Ajitgarh. On the last day of the tour, we unfold more ancient Havelis and villages in the morning. Later, we drive to Delhi for your departure. This is how your grand trip is going to end here. Waiting to see you again to explore India together. Lake Pichhola of Udaipur is one of the most picturesque lakes in the world, historical palaces are in one side of the lake and another side are beautiful Aravali mountains. Taking a boat ride through the lake is a photographer’s dream come true. 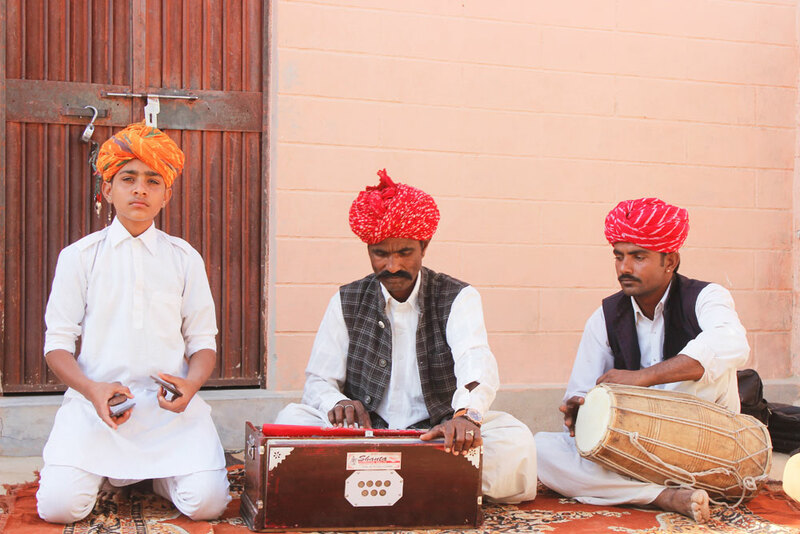 Thar Desert of Rajasthan is famous for its folk music, the villages around Barmer have various musician families such as Mangniyars, Langas and Meghwals. Their music is so soulful and listening them live is surely a treat to our ears.